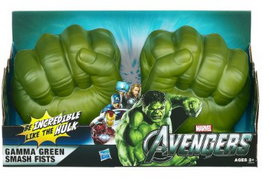 Amazon has the Marvel The Avengers Gamma Green Smash Fists for only $17.91! This would make a great Christmas gift for any Avengers or Hulk fan! Plus it is eligible for FREE shipping on orders over $25!